Ok I sculpted it, now how do I paint it? 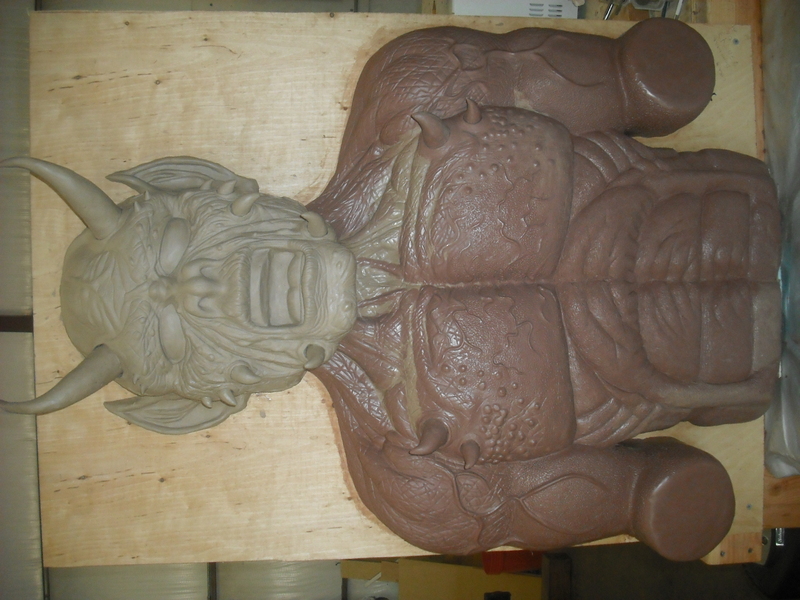 Here's a pic of my new creature, it will be cast in foam backed latex. I understand most of the painting techniques I've seen on all the videos, but I'm lost when it comes to putting together a believable color scheme. Any ideas? And in what order and which technique to apply? Inks? Washes? Pax paint? Any help would be appreciated.BTW, he has no teeth because each copy will have a set of dental acrylic teeth cast and attached to it, also, the horns are not the finished ones, they too will be cast separately and attached later. Sorry the pic is sideways.